The internet offers a wealth of knowledge, all available at the touch of a button and often for free or a very low price. It is time to start using this to you advantage and learn a new skill – whether that is drumming or learning to program a computer. Of course, it would not have been how legendary drummers like Phil Collins and Ringo Starr learned their trade, but the internet could well have helped current drummers such as Josh Dun and Dave Grohl. There are so many different ways of drumming, and the variations are compounded by the differences in international drumming styles and the hundreds of music genres. The rudiments of hand speed and control will be the same no matter what type of drum you are playing, and there are many different types. There are hi-hats, snares, kick drums, computer drums and crashes among the huge diversity of drums around the globe. Using the correct thickness and weight of drumstick, to suit your style and the instrument is also an important factor in being a successful drummer. Most music features drumming of some description, and there are many online drumming courses to teach you how to play. Some of them have videos to show you what to do, but others have teachers who you can converse with, and they can actually hear you play. This has to be useful as how else will you be certain you are getting it right. Apps that teach you a language are very clever. They can listen to the way you pronounce words, and let you try again if you get it wrong. One of the free language apps, DuoLingo, has been downloaded by more than 30 million people trying to learn one of a huge variety of different languages. Learning a language has long been associated with lessons in school, or with the elite hiring a private tutor. Now, thanks to the apps available, anyone can learn new languages whenever they want. Rosetta Stone, one of the long-standing providers of language courses has decided that mobile devices are the way forward and have added apps to its suite of language learning tools. The trend for learning a new language this way has grown enormously in recent years with most of the languages across the world being available to learn online, usually through an app. There is a lot of technique you can learn online if you want to know how to play the guitar. It is said that a lot of beginners strum from the wrist when the motion should be from the elbow. Your wrist should be kept loose and rested on or above the strings. This is just one of the tips for learning to play the guitar and there are many experts online who will help you further and get your guitar playing started. 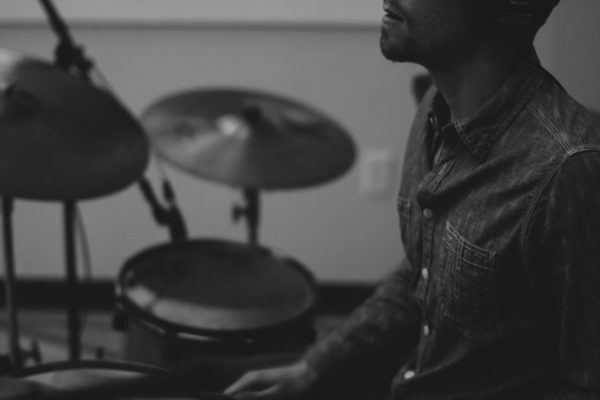 As with the drums, there are sites where you can have live chat with tutors, but the one thing most of the sites agree on is that you need to build a bank of songs you can play. The online guitar courses have experts to teach you the guitar, many of whom have had successful careers playing this instrument, and expertise they are now happy to pass onto you. Technology is evolving all the time, and there are new innovations in software that make our life easier and our leisure time more pleasurable. This is all down to the programmers that write the software programs and there are free online courses to teach you how to write a computer programme. With sites like CodeAcademy, Coursera, aGupieWare and GitHub all offering free online programming courses, you have plenty of choices where and when to start. There are many people opting to take online courses in this subject, as they see it as a job of the future. But the future is already here as far as computer programming is concerned, although there will always be the need for new and improved software as technology continues to advance. As you can imagine, there is no end to the number of online courses in computer programming. The explosion of mobile digital devices has made online gaming very popular, but there are some people who have never played poker or roulette with real cards and people, and they do not have a clue where to start. The same can apply to playing slots, bingo or betting on a football match or some other sport such as horse racing. The online casinos have it covered. Most of them have free versions of the games to give you chance to get to understand the rules before you start betting with your own money. You can play for as long as you want until you are confident enough to play in actual games. There are others that will give you some money to play with when you first join them, but there are so many of them now, how do you choose the best online casino for you? There are casino comparison sights, some of which will tell you the best odds as well as the bonuses and no deposit play on offer. These can make getting started so much easier for potential players that are new to online casino games. The reason most candidates opt to earn a degree online is because of the convenience. Online universities or colleges’ let you work at your own pace when you want, and do not interfere with family life or your job, if you have one. If you have small children to care for, working towards your degree in the evenings could be the best choice, and studying in your chosen subject online allows you to do that. There was a time when online degrees were not well accepted by employers, but now they are considered to be as good as any other degree. It has taken some time for this to happen, but online degrees have gained the respect they deserve, and there is no longer a need to specify that is how you earned your qualification on your CV. Is there anything you can’t learn online? There are not many qualifications, hobbies or jobs you cannot learn online. The things that do fall into this category tend to be matters relating to ourselves. How does it feel to be in love? How would you react if you found out someone had lied to you? Would you be happy living in another country? Why do you like your best friend so much? How will you react if you receive a proposal of marriage? Understanding other people and treating them with respect are things you can read about, but in a real situation it could be totally different. There are so many things like this that cannot be taught, they are based on instinct and intuition and no amount of looking online will teach you the answers to these questions. Then there are areas such as playing physical sports. You can learn all the rules of a game online, about football tackles or how to serve the ball in tennis, but none of that will be the same as actually experiencing playing the sport and starting to build muscle memory. Real life ups and downs or thrills and spills will never be replaced by anything online. Computers or mobile devices cannot tell you how you will feel, as that is peculiar to each individual person, and we all react to situations in different ways.